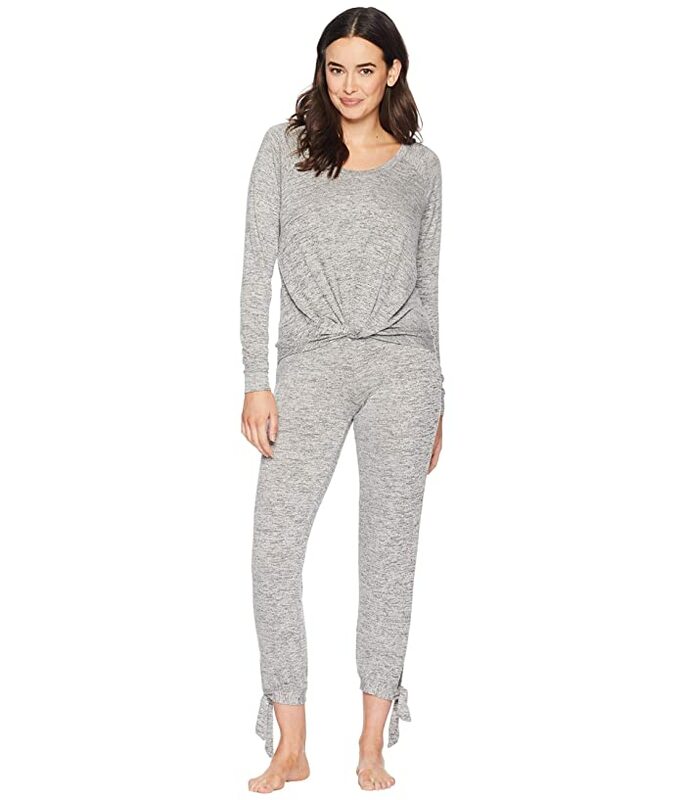 Sleep comfortably in this superbly soft UGG® Fallon Knit Sleepwear Set. 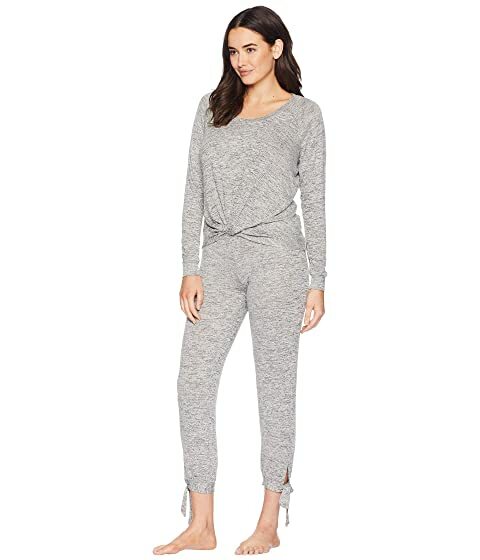 Pajama set is fabricated from a luxuriously soft stretch-poly blend. Long-sleeve top features knotted detail at front hem. 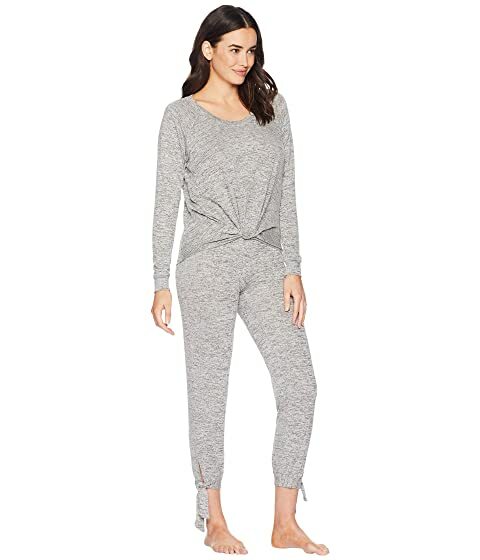 Long pajama pant has an elastic waistband. Stylish tie detail at ankles. 75% rayon, 20% polyester, 5% elastane.